Built 1781 by Jean-Baptiste Brequin and Peter Mollner. Opened 1781. Also known as "Theater in der Leopoldstadt". Used for comedies, parodies and light operas. Demolished in June 1847 and replaced by the Carl-Theater. 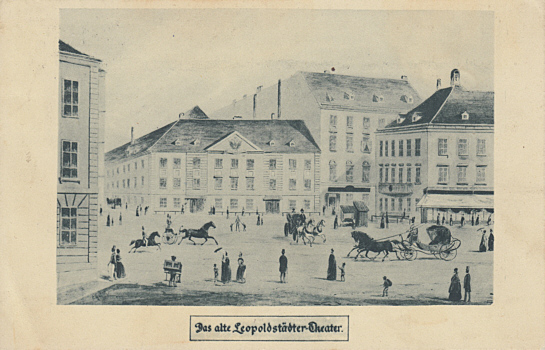 Front Text: "Das alte Leopoldstädter-Theater"